Hi everyone! I don’t know about you guys but summer and sunny weather always puts me in the mood for some fluffy, fun romance novels. The romance genre has many authors to choose from and one of those that I have been meaning to check out for ages is Giovanna Fletcher. What drew me to want to buy and read Giovanna’s books were her YouTube videos. I found her videos through watching her sister in law Carrie Hope Fletcher, whose book I have also reviewed. I really enjoyed her great sense of humour and positive attitude, so I wasn’t surprised when this translated in her book! 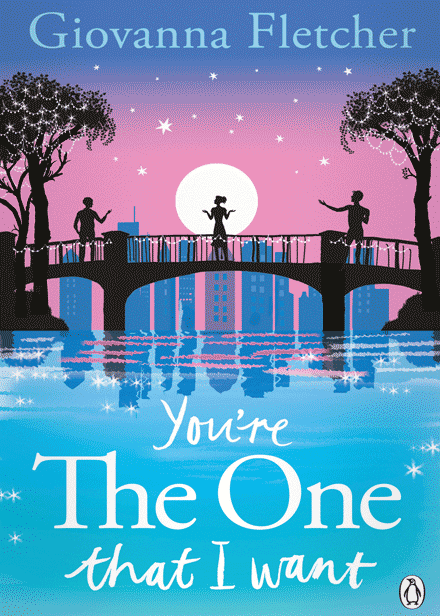 You’re the one that I want follows the lives of three inseparable best friends, looking specifically at the different relationships that develop between each of the two boys in the friendship group, Robert and Ben with the only girl, Maddy. So, let’s talk about the characters shall we! Ladies first; The boys first set eyes on Maddy Hurst when she is the new girl at school, aged nine with wild red hair and a uniform that is too big for her. The boys, particularly Ben, are instantly drawn to her and the three almost instantly become best friends. Throughout the novel Maddy’s character grows into a strong young woman and a talented photographer, something that I would have liked to have read more about. However, as is important in a character, she is flawed. When faced with tricky, mature decisions, particularly to do with her romantic relationships, Maddy is quite indecisive and somewhat reliant on other people’s advice to get her through – however this is not a criticism of the book at all as I found this to be very relatable and relevant to most young people’s decision making route, we all need advice now and again! The leader of the group is Robert, a cheeky, charismatic character – the kind of jack-the-lad boy that I’m sure we can all liken to someone we’ve known. I would say that Robert was my least favourite of the trio but I will explain why when we get on to talking about the format of the book! The third piece of the trio is Ben, the epitome of tall, dark and handsome with the sweetest, most caring personality to boot – the kind of character that I can’t help but root for! The majority of the novel focuses on these three characters, all of whom where well written, my only wish in the character department would have been for the secondary characters to have been a bit more involved but that’s if I’m being really picky! The book is written from the points of view of Maddy and Ben – therefore explaining why I possibly did not connect quite as much with Robert. I loved that not only did we get both of their points of view but it was split into random ages, all the way from age nine when they met until age twenty six which made it feel like we were really growing up with them. The age sections were split by paragraphs from a speech being made by Robert, commenting on things that had occurred throughout their lives therefore nicely leading into the new age where the events were explained more thoroughly. I really enjoyed this layout as I thought it was a nice spin on dual perspectives. The writing style was witty and inviting making this book the perfect kind to curl up with over a cup of tea (with a slice of cake, obviously) or to take on holiday. Another aspect that set this apart from other romance novels was that, I felt, it had a deeper emotional level because not only romantic relationships but real, life-long friendships were involved. So, to conclude, I will definitely be picking up Giovanna’s other books (she has a new release called Dream a Little Dream!) and I hope you will too, if you fancy it!